Federal employees would receive a 3.3 percent pay raise in 2015 under a House bill unveiled by a Washington-area lawmaker. The legislation, introduced by Rep. Gerry Connolly, D-Va., would apply the increase to both General Schedule employees and wage-grade workers. President Obama has proposed a 1 percent pay raise for civilian employees and military service members in 2015 -- the same bump both groups received this year. Until now, federal civilian employees hadn't received an across-the-board annual pay raise since 2010, although they were eligible to receive raises through step increases and promotions during the past three years. 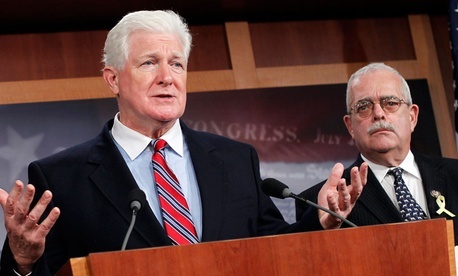 Co-sponsors of the Federal Adjustment of Income Rates (FAIR) Act are Democrats Jim Moran of Virginia, Elijah Cummings and C.A. Dutch Ruppersberger of Maryland, John Tierney and Stephen Lynch of Massachusetts, Eleanor Holmes Norton of D.C., Matt Cartwright of Pennsylvania and Michelle Lujan Grisham of New Mexico. “By investing in the federal government’s most valuable resource -- its talented workforce -- the FAIR Act would begin repairing the significant damage that has been wrought on our overworked, underpaid and unappreciated career civil service, while helping to ensure we can attract the best and the brightest to build the federal workforce of the future,” Connolly said in a statement.